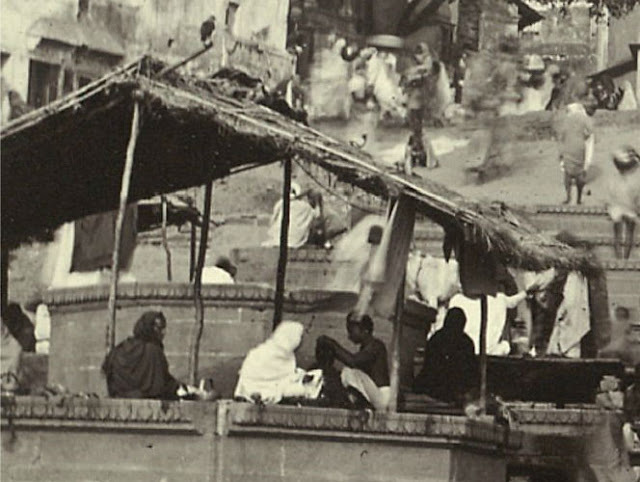 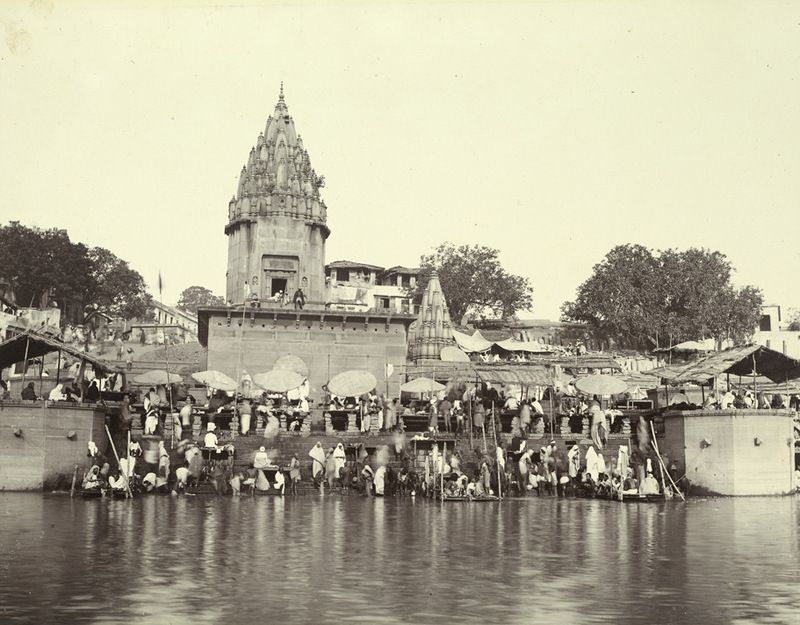 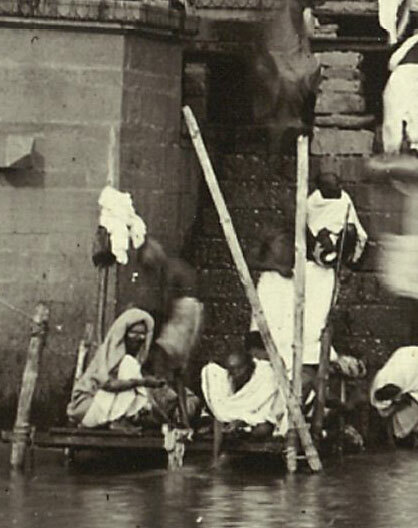 Photograph of the Dashashwamedh Ghat from the Kitchener of Khartoum Collection: 'Views of Benares. 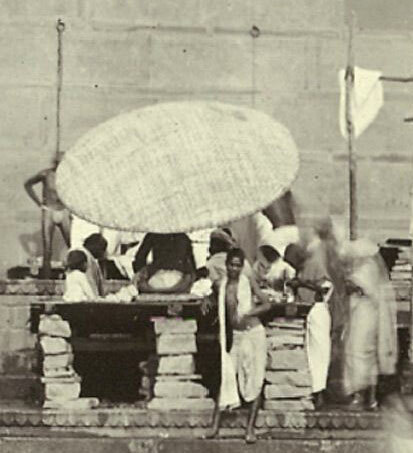 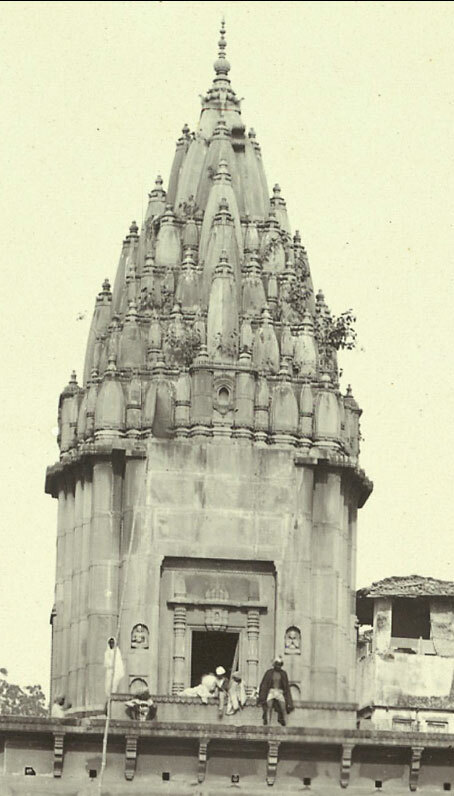 Presented by the Maharaja of Benares' by Babu Jageswar Prasad in 1883. 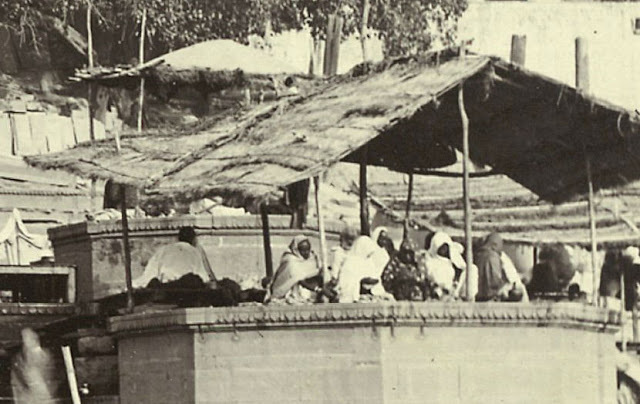 Dashashwamedh Ghat, on the River Ganges at Varanasi, is one of the busiest of the cities many ghats, where residents and pilgrims perform their ablutions, Brahmin priests sit on wooden platforms under bamboo umbrellas to offer prayers for their clients, masseurs ply their trade and boatmen jostle for custom. The name of the Ghat is derived from the legend that this was the site where Lord Brahma performed the "Das ashvamedha" (10 horse) sacrifice for King Divodasa. 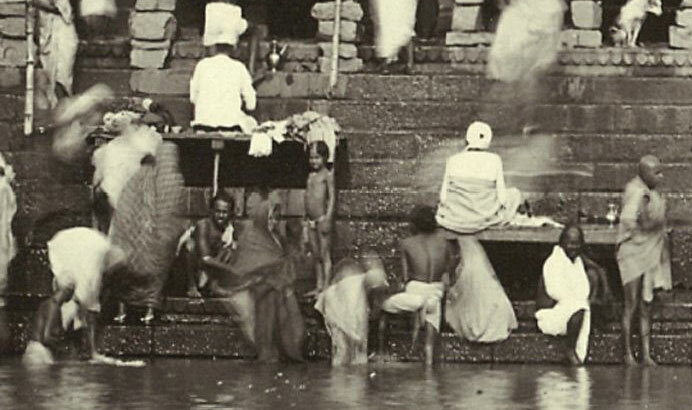 This ghat is regarded as one of the world’s most celebrated tirthas, or ‘crossing places’ where the devotee can gain access to the divine and gods and goddesses can come down to earth.